In the secret back room of the Woodson Research Center there are, unsurprisingly, several library carts. One of them is the place where we put small items that people send or bring in until we have a chance to decide exactly what they are and where they should be kept for the long term. 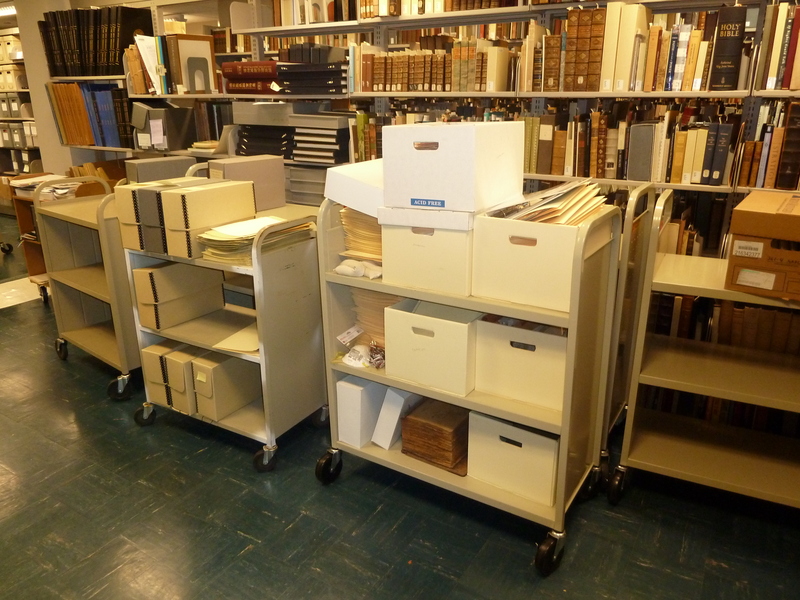 Here are some of our carts–the one I’m talking about is the wooden one that’s just barely visible on the far left. Sometimes things are put into the small box on top of it because we don’t know what they are; sometimes just because we’re in the middle of other things. And here’s the page with my guy on it: It was Edward Hake Phillips of the History Department, who I wrote about here. Luckily, this all adds up. 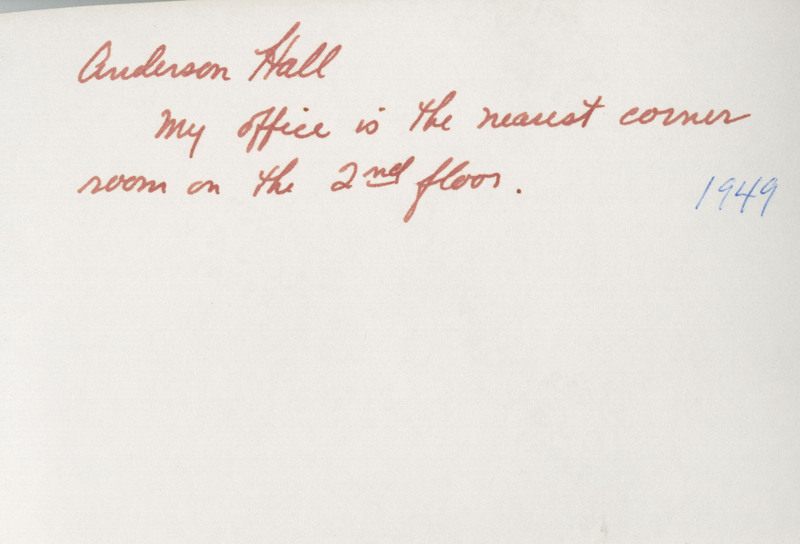 The History Department was, in fact, in Anderson Hall in 1950 and Phillips’ office was on the corner of the second floor. 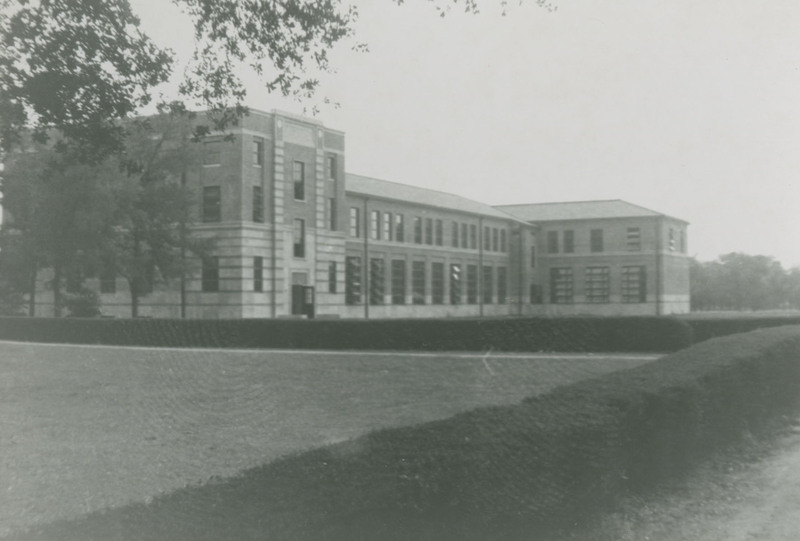 There was also an envelope in the box with several other photos that were sent to us by Professor Phillips’ son. Case closed. 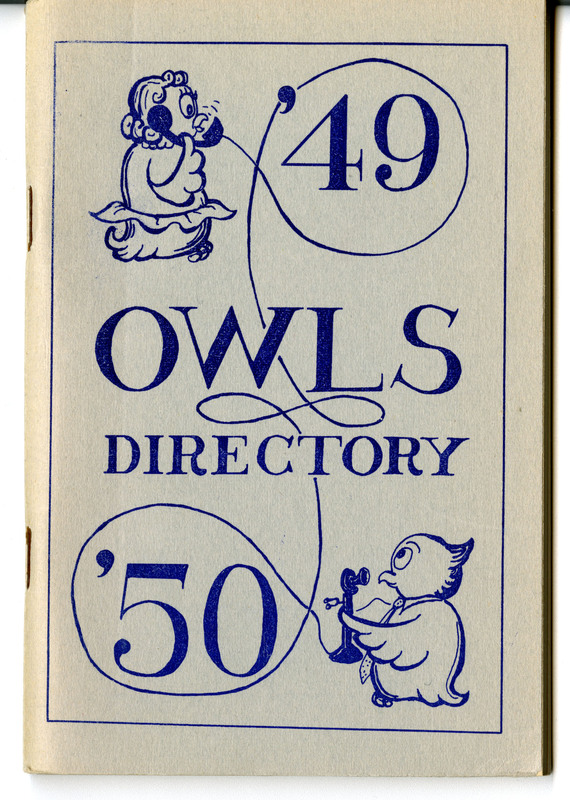 Bonus: Note the last name on the directory page–J.K. Risser, Associate Professor of Physics. 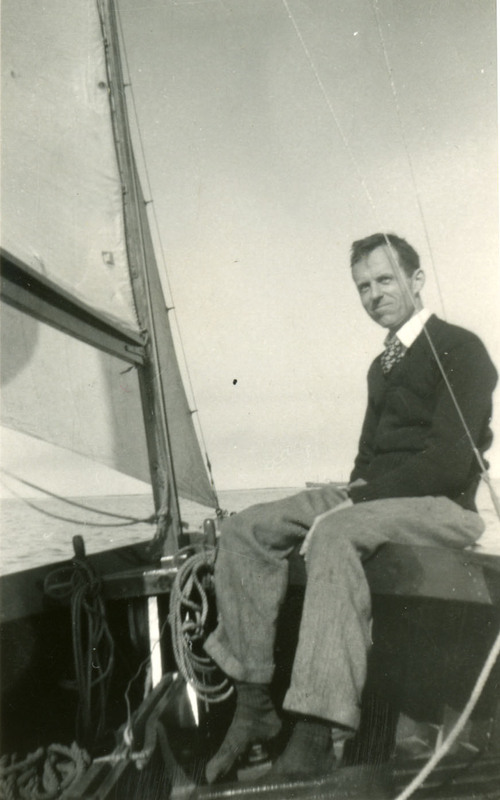 Risser seems to have been a good friend of Phillips, and among the other photos from Phillips’ family was this one of Risser on his sloop in Galveston Bay. I’ve spent a reasonable amount of time on sailboats and I believe this is the only time I’ve ever seen someone sailing in stocking feet. He’s also wearing a tie. Standards sure have slumped nowadays. 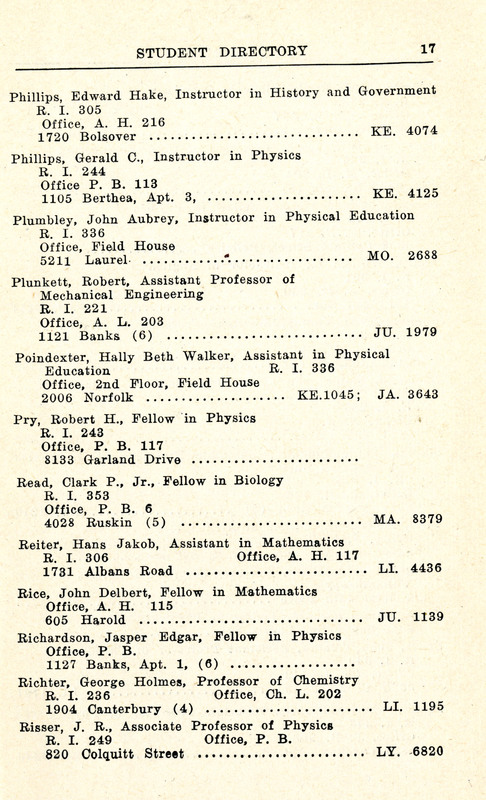 Also, all the profs in the early ’50s lived close to the campus. None of them lived in The Woodlands or Sugar Land. My grandfather was in the British Merchant Marine. For training on a sail boat (3 masts) they were always stocking feet, as shoes were too dangerous and slippery on the ratlines and the4 yards. There is no mention of Ed Philips association with the Communist Party. He was among those who visited Cuba ~1956. I suspect this made him unwelcome at Rice and was the likely cause of his move to Austin college. Interesting. I will look into this. Thanks!